Now that the music’s stopped and the chairs’ve been grabbed and the chairless escorted from the gleaming transparent new New York Times premises I think I’m seeing next exec editor Jill Abramson’s slightly different profile’s shadow cast over a couple largish stories already, two Sundays running. Bill Keller is now, though not this week, writing short pieces in the Times magazine that are almost as well considered as my dashed-off work here. Abramson’s most famous hobby horse makes the first of these, Mike McIntire’s “The Justice and the Magnate” pretty obvious; Clarence Thomas’ inelegant entrance upon the national stage was hardly his fault. A lot of it was hers. Deep into the Republican twelve years of Reagan-Bush the sexual harassment bar as used politically by Democrats was getting to be raised pretty high for the party of just about any black man not to mention the Kennedys. Luckily our first black president Bill Clinton came tooling along to get gender relations back into realistic shape. But Abramson’s career going back to her WSJ articles co-authored with Jane Mayer and one or more Democratic Senatorial staffers, which became their book, Strange Justice, was made then. In Manhattan journalism terms Abramson and Mayer used Thomas to launch themselves from the Wall Street Journal which supported the Thomas nomination in editorials, to the Times and the New Yorker respectively, which are still as institutions questioning the Judge’s sanity as well as his qualifications. (David Brock, now an uncloseted liberal media critic of Fox, Limbaugh etc., had stripped bare Anita Hill to somewhat less reward in his book, The Real Anita Hill.) Clinton’s fine-tuning of harassment etiquette-and-law seems to have had no impact upon Thomas Studies as they advance over time in high-end newsmedia. The story that appeared two Sunday’s ago, date-lined Pin Point, Ga., found its way above the fold on the front page and it continued inside for a full page. It involves a derelict seafood cannery of some historical importance to coastal Gullah populations going back to the 1920s. McIntire writes, “That Pin Point’s history is worthy of preservation is not in dispute.” Yet the scandal seems to be that Thomas referred a friend of his (the Magnate) to the cannery’s descendent-owner (Algernon Varn) to help that effort. The Reporter quotes the Professor of Legal Ethics at Chapman University Ronald Rotunda (! ), “I don’t think I could say it’s unethical. It’s just a very peculiar situation.” But then Clarence is a strange justice, no? That’s been established. A lot of the thousands of words here are about Harlan Crow, no not a Georgia cracker trying to re-enslave the freedmen islanders, but “a Dallas real estate magnate” prone to donating money and time to conservative causes. Strange that he would even know Justice Thomas. The photo on the front page is of Thomas speaking after receiving a bust of Lincoln that he shouldnta oughta got apparently. I realize I may be the only person not named Jill or Jane to have read the whole overblown feature. It sure won’t be Pulitzer bait for ol’ Mike McIntire. You’re left guessing that it’s meant to be a little tap on Clarence’s shoulder from Jill from atop her new position which is after all almost as prestigious as his. Last Sunday’s suspicious piece was less obviously personal so it got top right above the fold, which is what the Times considers top story placement. Nominally part of an ongoing series, this time its Ian Urbina taking one for the Times, spinning a similar sized Sunday piece out of even more not-much, and what’s more following up with two additional articles of nothing-at-all in Monday’s paper. The series is called “Drilling Down: the Shale Gamble” but what gives it that uniquely non-disinterested NYT flavor is all that padding they add to disguise the obvious. As I mentioned in the April essay, “From the Dept. of Enervation”, a New Yorker piece on North Dakota’s fracking bonanza was remarkably deferent to all those Dakotans and Oklahomans and Texans, almost as if oil and gas and what-not, all that dirty stuff, might be found, extracted and used with the New Yorker’s permission. Well those drawlin’ fools apparently do not have the New York Times’ permission. I wrote that earlier piece over another pre-Jill Bill-era Times flurry of carbon-hate. This week’s three articles (so far) seem most concerned with over-inflated stock valuations for energy companies based in the rush for shale gas and new rules allowing looser estimations of gas reserves. A couple hundred words could’ve dealt with that, except they seem to have gone to some trouble to obtain the emails of energy company executives…. Sunday’s “Insiders Sound an Alarm Amid a Natural Gas Rush” is long enough, but Monday’s double barrel of “Behind Veneer, Doubt on Future of Natural Gas”, and “S.E.C. Shift Leads to Worries of Overestimation of Reserves” overkill the overkill, but again all direct politicking elided by max word count, hopefully it won’t become a book, maybe there’s a vote imminent… Anyway the point of all these pieces: there’s a gas bubble created by a gas rush. I guess they feel culpable for natural gas’ clean reputation since they’ve done their best to rule coal, oil, and nuclear out entirely. Seems to me this all leads back to the stone age: an Anarcho-Salafi theme park with gay marriage and just enough sexual harassment to keep things interesting. That is if they’re serious about all this. Perhaps the Times feels impotent and so have decided to err on the side of general obstructionism, hoping against hope to save the planet. But the dishonest construction of these pieces, whereby one expects to find the abrotext (see R&TPN) come along at any moment in the next sentence or paragraph only to reach the end and find that Ian Urbina and editors have removed it. 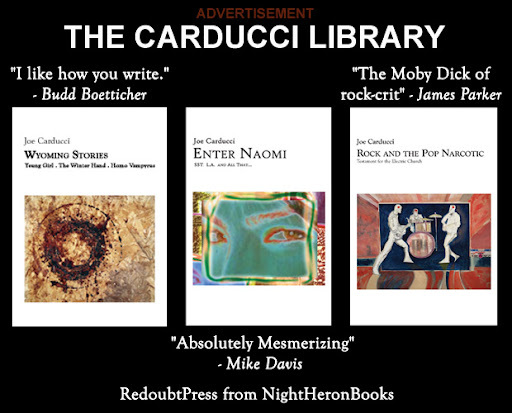 The heart of these pieces is a void you faithful reader-to-whom-the-Times-is-a-religion are to fall into. 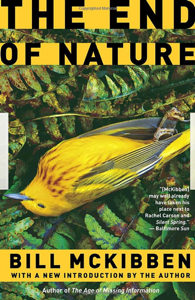 The New Republic found Bill McKibben, author of the book, The End of Nature, and got him to succinctly overfill that void the Times in its high-minded probity leaves open for you to fill, with his piece, “Canada and Its Tar Sands: What the Country Can Learn From Brazil About Protecting the Environment”. 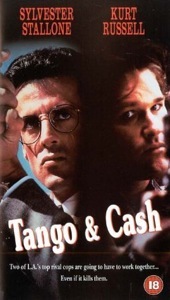 It may be hysterical, but it’s honest about its interestedness. McKibben is an unmasker of climate-denial and he asks and answers, “Shouldn’t Canada feel the same kind of responsibility to keep carbon safely in the ground that Brazil feels to keep its trees rooted? Absolutely.” I guess he’s principally concerned here with tar sands and unconventional oil, and it might very well be true that these strange solid-oil lands which require heating to get at are being worked because of governmental givebacks and subsidies and the ruling out of other easier to tap energy fields. But really, “keep carbon safely in the ground”? I think that phrase is what’s missing from all the overblown, lighter-than-air New York Times energy reporting… the MacGuffin… the abrotext itself… darkness visible. What enables this misconstruing of our world is a pretty simple class war, and it’s boringly the same old one, just acted out by our new elite against the remnants of the American working class. This series, "Drilling Down", is perhaps half-read by people who know nothing of gas-flares and oil-rigs or coal-mines, but whose faulty education leaves them believing that their prejudices and inadequacies are rather pertinent moral sentiment. Thanks to some highly interested and invested movement documentary this elite’s idea of fracking is flames pouring out of a kitchen faucet. And we simply cannot have that. Is caribou psychology a doctorate program now? Somehow I think a nice Gilda Radner “Never mind” would be appropriate here. If you want pure science in the Science Times move to Sindya Bhanoo’s “Saturn Moon’s Surface May Conceal Salty Ocean”. 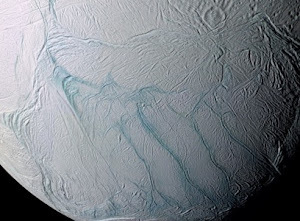 There is no Times interest in Enceladus since there are no drawlin’ oil-men up there threatening to turn that icy hell into an boiling ammoniated nightmare, and so I think Sindya’s piece simply flew through the Washington bureau and the executive editor. And Wednesday morning... Times Hits Paydirt as Ian Urbina covers the echo, "Lawmakers Seek Inquiry of Natural Gas Industry". Last Friday’s New York Times was a great looking newspaper, at least above the fold. I believe it’s the first black and white top since they began printing color. 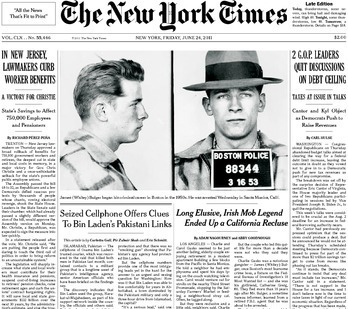 And the great fifties mug shots of “Whitey” Bulger really made for a classic front page. Only the paper’s now about four inches too narrow and a couple too short. 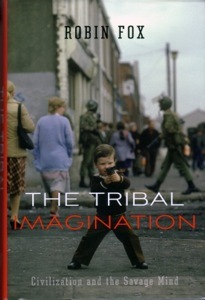 Roger Sandall in American Interest on Robin Fox’s book, The Tribal Imagination: Civilization and the Savage Mind. Matt Bradley in WSJ, "Young Brothers Rebel in Egypt". Hazem Saghieh at Opendemocracy.net, "The Arab Revolutions: An End to Dogma". Chris Nicholson in NYT, "Women Break Down Barriers in Mideast Finance". Marc Champion & Ayla Albayrak in WSJ, "Kurds Call for Boycott of Turkish Parliament". 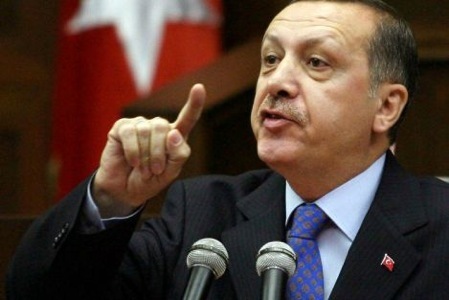 “The boycott by the Kurdish Peace and Democracy Party, or BDP, came after Turkey's High Election Board ruled late Tuesday that Hatip Dicle wouldn't be allowed to enter Parliament because of a prior conviction on charges of spreading terrorist propaganda. Mr. Dicle was one of 36 Kurdish-backed candidates to win a seat in elections June 12. Marc Champion & Jay Solomon in WSJ, "Turkey-Israel Ties Warm Over Syria". Michael Martina & Alexander Dziadosz at Reuters.com, "Sudan’s Bashir likely keen to ease China investment worry". Tony Barber in FT, "Echoes of history in Greece’s corrupt clientelist state". Andrew Malone in Daily Mail, "The Big Fat Greek Gravy Train". Andrew Rettman at EUobserver.com, "One in 20 EU officials could lose jobs in ‘solidarity’ cuts". Marcus Walker in WSJ, "Is Germany Turning Into the Strong, Silent Type?". Pilita Clark in FT, "China in threat to block Airbus deal". 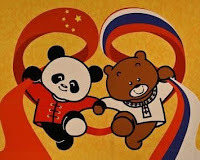 Nicu Popescu at EUobserver.com, "How China sees Russia". ‘A BRIC summit is discussing how and when to unseat the US dollar as a global reserve currency. After days of deliberations the leaders of BRIC countries decide to go and ask God about the prospects of their currencies to become global reserve currencies. The first to go is Dilma Rousseff, president of Brazil – she asks God when will the real become a reserve currency. A few minutes later she returns crying. Her RIC colleagues ask her ‘what happenned?’ ‘God said I will not live to see that’ she explained. Manmohan Singh goes to ask God when will the Indian rupee become a global reserve currency. Just like Dilma Rousseff he returns crying after a few minutes. God told him that the Rupee won’t become a reserve currency in his lifetime. Hu Jintao goes through the same experience. Patti Waldmeir in FT, "Chinese sharpen tactics for tackling social unrest". 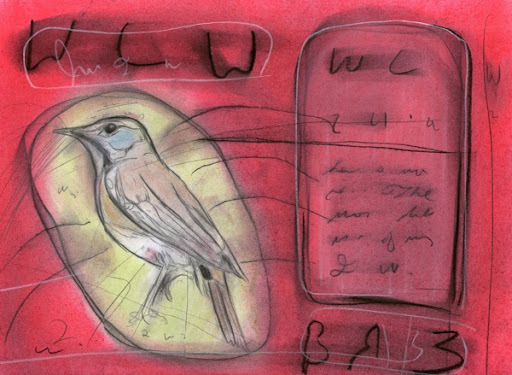 Mary O’Grady in WSJ, "A Get-Well Card for Hugo Chavez". John Rathbone in FT, "Boom times despite safety fears". Michael Barone in WSJ, "The Surprising Roots of Liberal Nostalgia". Michael Spence in WSJ, "Why the Old Jobs Aren’t Coming Back". Henny Sender in FT, "Banks lose out as Washington rigs the game in its favour". Steven Rattner in NYT, "The Great Corn Con". John Kass in CT, "Blagojevich’s telltale hand". Washington Post: "Obama’s focus on visiting clean-tech companies raises questions". 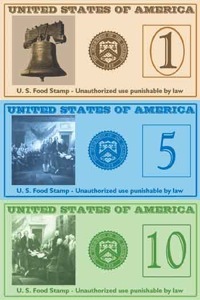 James Bovard in WSJ, "The Food-Stamp Crime Wave". Sam Kazman in WSJ, "Why Your New Car Doesn’t Have a Spare Tire". Christopher Caldwell in FT, "Smoking ads are more about class than compassion". Ross Douthat in NYT, "160 Million and Counting". Jorg Pierach at Fasthorseinc.com, "Newspapers Should Get Out Of The Opinion Business". “If you want my opinion, it’s time for newspapers to get out of the opinion business. Nathan Hodge in WSJ, "Marines Seeking Postwar Identity". Gideon Rose in NYT, "What Would Nixon Do?". Peter Foges at Laphamsquarterly.org, "The Mystique Of The Manual". Andrei Konchalovsky interview by Ian Christie at Opendemocracy.net. 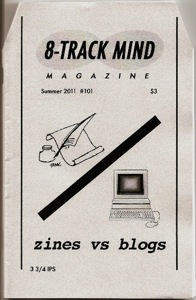 Curt Kirkwood interview, April 2011, by Matt Smith-Lahrman. “M- What was it between those two records that lead to you becoming the principal song writer in the band? Because in the first record Derrick writes some lyrics and it’s all attributed to Meat Puppets and then it becomes Curt Kirkwood. "One sip, and he could name the coffee’s country of origin, and break down what percentage of the beans came from flavorful Arabica plants grown near the tops of mountains, and which portion were Robusta — the lesser-quality beans from lower altitudes. 'He could tell you ‘It’s got 15 percent Robusta,’ for example, or ‘It’s got Columbian and Brazilian Santos [beans] in it,' said his son, Tom. 'He could pretty much pin what was in the cup.' Mr. Papanicholas, the head of Aroma Coffee Co., knew 'Coffee is grown in 60 different countries,' his son said. 'Even without traveling to those countries, he understood what the plant was; where it had come from originally. He knew about the genetic mutations that would take place with temperature and soil conditions.' And when the founders of Starbucks had a roaster-fire in the 1970s, Mr. Papanicholas and his brother, Nick, roasted beans for them, Tom Papanicholas said. Gust Papanicholas, patriarch of what his son describes as the oldest family-run wholesale coffee-roasting business in Chicagoland — it is now in the hands of the fourth generation — died June 20 at Elmhurst Memorial Hospital at age 79. For an estimated 150 years in their native Greece, the Papanicholas’ 'had coffee in their blood,' Tom said. 'Before they came to this country they were coffee, tea and spice traders in Greece; Turkey; Ethiopia; Asia.' Gust Papanicholas’ great-uncle, Stavros Cantzas, founded their American outpost, Overland Coffee Co., about 1906. In the 1920s it became Aroma Coffee Co."
Larry “Wild Man” Fischer was someone a lot of people in Los Angeles knew and talked to over the years. All you had to do was hang out in record stores and you were likely to meet him. Platterpus Records was a chain of used record stores that existed in LA in the 1970s and I went to check out the one on east Sunset with a friend in early 1977. While I was going thru the Rock bins I became aware that Gary was not looking through the Jazz section anymore but was talking to this hippie who suddenly ran over near me and pulled out an album to show him. It was Larry pulling out his own album to show him. Larry had made the record for Frank Zappa’s new Bizarre label in 1968. It was called “An Evening with Wild Man Fischer” (Thedailypipe has it posted with the Zappa liner notes describing its making). The cover featured a grinning Larry holding a big knife to a life-size cardboard image of an old woman labeled “Larry’s mother”. According to his Wikipedia page he’d been committed to a mental hospital as a teen for some similar episode in real life. Gary had heard of the record and was thrilled to be talking to Larry. I think Gary knew more Zappa and he’d gone off into jazz as Zappa-heads often did. I don’t think Larry left the shop with us but Gary stayed in touch with him and took to calling him “Crazy” at Larry’s suggestion I assumed. I called him Larry. One day they came by my apartment, which was at Yucca & Wilcox in Hollywood, and we went over to Barnsdall Park to see the Toshiko Akiyoshi - Lew Tabackin Big Band which played outdoors. It wasn’t the best idea to bring Larry there if one were set on listening intently to one of the few big bands going. Larry had a great rough voice and a good musical sense I think, but he was designed to be Performer rather than Audience. He’d found one of those little noise toys that made a sound like a lamb “ba-a-a-a” in the park, and he kept turning it over whenever there was lull enough in the music so the sound would carry, and everyone would turn around looking for the lamb. Larry charmingly acted as if it were an accident each time he did it, or maybe he really thought that the next time he turned the toy over it wouldn’t make the sound. Gary had something to take care of back in New Hampshire or wherever he was from and didn’t come back so I lost track of Larry. He told us he’d recorded a 45 for Rhino Records and sure enough he did an album for them later that year which I picked up in 1978 when I was in Portland at Renaissance Records. I played it on my KBOO show. We turned the shop into Systematic Record Distribution and moved it to Berkeley at the end of 1979 and got going as a mail-order/record distributor/record label. We were a small three-man operation mostly. We were in an industrial court and didn’t have retail customers come thru the door anymore. Visitors were usually from Rough Trade, or the local shops like Rather Ripped, Tower, Universal, Rasputin, or local labels like Subterranean or bands like Dead Kennedys, or Negativland dropping off their records. One day in Spring 1981 to my surprise Joe Pope came into work with Larry in tow. Somehow I thought he’d remember me but I couldn’t even get him to remember Gary who he knew better. But it was good to see him again…. Wild Man Fischer: You ever heard of Captain Beefheart? WMF: Ever heard of Frank Zappa? WMF: I'm Wild Man Fischer, got a quarter? I'd recognized him and from there I struck up a conversation with him and told him how much I liked his music -- he loved hearing that. (If memory serves he was hanging around Telegraph avenue in that period, so it wasn't a complete surprise to see him on the street.) I also mentioned to him that we were carrying a record that he was on which immediately got him quite suspicious -- there was a lot of that in the next couple hours: up/down, turning on a dime emotionally. The record in question was a compilation 7” called 'The First One', heavy cardstock, b&w cover that also had The Ragnar Kvaran Group, The Mohawk Brothers, and The Tulsa City Truckers on it. I think all the bands/recordings were from Michigan, including the Wild Man Fischer track “Monkeys Versus Donkeys” which was a live recording from a show he did there on January 26, 1979. I can't find a thing about the record online but it exists. Anyway, it was the mention of this record that got him on the hook, as it were. He wanted to see it for himself and I said 'ok', telling him he'd have to come to Berkeley (I bought his ticket for him). We knew his feelings about how he'd been treated by the music industry, so this subject pretty much defined the ride over. He was upset that he was getting ripped off again.... I guess because I was a fan he felt he'd sing for me the whole time on the ride over. So there I was with Wild Man Fischer for the next hour on the BART, him singing a cappella to me (and everyone within earshot). He sang some of his 'hits' if I recall, but the song I remember most was one about Frank Zappa in his big house wearing a fancy bathrobe with his initials monogrammed on it. That was the focus-punchline of the song, the monogrammed initials. Larry pretty much stayed in good spirits the whole time, even after he saw the record. I had to explain to him that I wasn't responsible for the record so I couldn't give him money for them (they were only costing us $1.00 each). What I did do was give him $20 to sign a bunch of copies, figuring that he'd get some dough, I'd get his autograph, and they might sell more easily -- seemed fair. Some of the records he signed 'Larry', some 'Wild Man'. After a period of him hanging around and being himself, I told him that I had to get to work. That triggered another sharp turn emotionally. 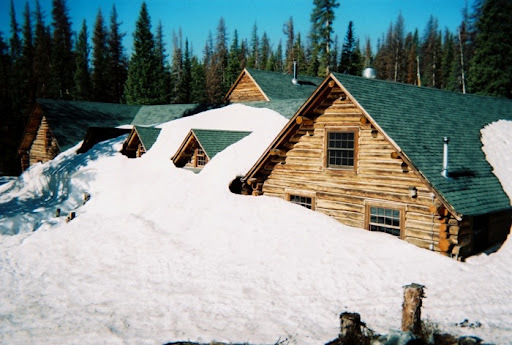 He seemed to genuinely become scared like a child as he reluctantly ventured out the door. He lingered and looked lost. I can see him like it was yesterday -- I felt pretty bad about sending him out into the cruel world on his own. Thinking about this story on hearing of his passing, I remembered being struck by the fact that he had first asked me if I knew who Captain Beefheart was, before Zappa. Was it simply personal or was he placing them in their rightful order artistically?! Alice Bag posted a nice remembrance up of Larry, and I was glad to see that someone made a documentary about Larry. It’s called “DeRailroaded” and in this clip you can see some great interview segments. What stands out to me is the little bit of Larry in a record store asking the clerk if he knows his record; he does but as the dumbfounded clerk looks from the camera to Larry he free associates the first thing he can think of and says “Frank Zappa.” Larry looks exasperatedly to the guy behind the camera as if to say, you see what I have to deal with? The comments section under the video are of course full of the kind of wounded defensiveness of the suburban Zappa brigades, few of whom know the first thing about what they’ve just seen but since Zappa’s in it they tuned in. Pamela Des Barres writes wonderful things about Zappa in her book, but Larry in person not so much, and at length! It is interesting that Zappa stopped dealing with other bands and musicians in the same period (1969-1970) that the Beatles and the Rolling Stones shut down their Svengali sponsorships of others as well. Led Zeppelin tried for a few years as well. But that counter-culture ended and the survivors got down to business. 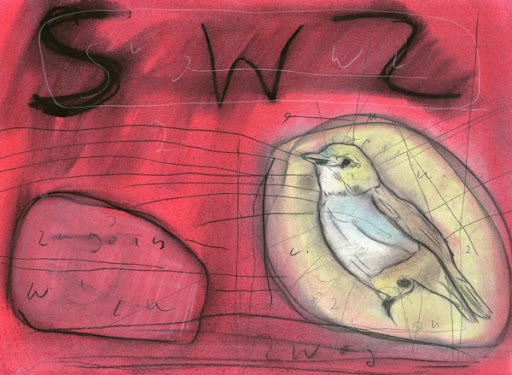 You could say that the punk era movement labels, the band-owned ones like, say, Black Flag’s SST, similarly observed the end of their counter-culture, but then for them there never really was any business to speak of. Larry’s first album went out through Reprise Records. Today almost everyone is a DIY singer, only online rather than on the street. A Zappa doesn’t even form a band today, such duties were the real bane of Frank’s existence and genius no longer loves nor needs company. Wild Man Fischer, “Monkeys Versus Donkeys” on the Jimmy Kimmel show . 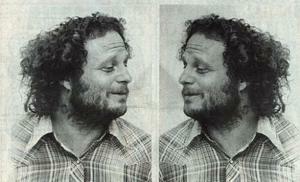 Jay Allen Sanford at San Diego Reader on Larry’s San Diego period (scroll down). Tim Rutten in LAT, "No turning back in California budget mess". Dennis Cauchon in USA Today, "Texas wins in U.S. economy shift". MercoPress: "Controversy in Brazil over the release of ‘sensitive’ documents from imperial past.". Mark Mazower in FT, "A sorry end to too fleeting a Greek dream". Louisa Lim at NPR, "In Greek Port, Storm Brews Over Chinese-Run Labor". Delphine Strauss in FT, "A self-confident new-age Sultan setting out his stall". Jurgen Gottschlich at Qantara.de, " From Megalomania to True Greatness?". Delphine Strauss in FT, "Kurds’ gains bolster demands for autonomy". Algerian author Boualem Sansal interview at Signandsight.com. “So is this the rebellion of an educated, well-informed youth that is being been denied all freedoms? Jeffrey Gettleman in NYT, "Sudan Steps Up Furious Drive to Stop Rebels". Peter Wise & Jonathan Ford in FT, "Portugal is warned of two ‘terrible years’". Leigh Phillips at EUobserver.com, "The junta of experts tells us: ‘Vote how you like, but policies cannot change’". Gideon Rachman in FT, "Political union cannot fix the euro". Leigh Phillips at EUobserver.com, "EU president issues ‘plea for Euroland’". 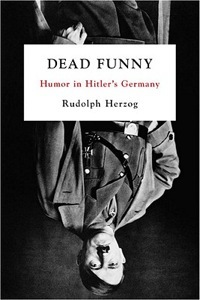 George Pendle in FT on Rudolph Herzog’s book, Dead Funny: Humour in Hitler’s Germany. Timothy Snyder in NYTBR on Andrew Roberts’ book, The Storm of War. Warren Kozak in WSJ, "What If Jews Had Followed the Palestinian Path?". Ira Stoll at Futureofcapitalism.com, "Hitchens Versus Hillel". Eschewing irony, Mamet prefers his precepts to be literal and traditional. 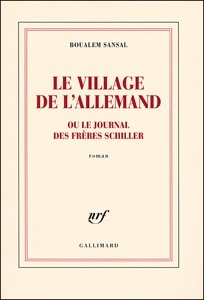 In case by any chance we haven't read it before, he twice offers Rabbi Hillel's definition of the golden rule and the essence of Torah: ‘What is hateful to thee, do not do to thy neighbor.’ As with Hayek's imperative of choice, the apparent obviousness of this does not entirely redeem it from contradiction. To Colonel Qaddafi and Charles Manson and Bernard Madoff, I want things to happen that would be hateful to me. Of what use is a principle that is only as good as the person uttering it? Steven Rattner in FT, "Savour the sweet scent of Germany’s success". Andrew Wilson at Opendemocracy.net, "“Political technology”: why is it alive and flourishing in the former USSR?". David Pilling in FT, "The ghost of Thaksin still haunts Thailand". Christopher Hitchens in Atlantic on Joseph Lelyveld’s book, Great Soul: Mahatma Gandhi and His Struggle With India. Sandanand Dhume in WSJ, "India’s Conservative Vacuum". Jeremy Kahn in Atlantic, "India Invents a City". Steven Borowiec at YaleGlobal, "People on the Move". David Wessel in WSJ, "China’s Economy Faces Three Contradictions". Kathrin Hille & Ben Bland in FT, "China warns over Vietnam dispute". Joel Adriano at Atimes.com, "Waters roil in the South China Sea". Ben Bland in FT, "Twist of fate sees old foes as allies in power tussle". Ben Bland in FT, "Vietnam’s fishermen on front line in sea dispute". Brahma Chellaney at Project-Syndicate.org, "Deception by the Boatload". Philip Stephens in FT, "Round two: the rest versus the rest". Richard Clarke in WSJ, "China’s Cyberassault on America". Jamil Anderlini in FT, "Corrupt officials smuggled $124bn out of China, says Beijing report". Jamil Anderlini in FT, "China’s army of migrant workers grows restless". Enid Tsui in FT, "China uses extra rights to lure riot informers". Kent Ewing at Atimes.com on Sir Edmund Trelawny’s book, Decadence Mandchoue. Benjamin Shobert at Atimes.com, "The wrong part of China in Manhattan". Alan Reynolds in WSJ, "Why 70% Tax Rates Won’t Work". David Brooks in NYT, "Who Is James Johnson?". Mark Everson in NYT, "Lawyers and Accountants Once Put Integrity First". Alan Beattie in FT, "Take a deep breath, economists, it’s time for the lawyers". Vanessa O’Connell in WSJ, "Lawyers Settle… for Temp Jobs". Approximately 34% of 876 respondents said their companies had used non-staff ‘contract’ attorneys in the previous fiscal year. The most common reason for their use was given as ‘project cost management,’ by 29% of those respondents using contract attorneys. About 26% said they were looking ‘to satisfy the need for a specific skillset.’ Another 20% said their use was the result of ‘cost management’ by a law firm. David Carr & John Schwartz in NYT, "A Watchdog Professor, Now Defending Himself". Caitlin Flanagan in Atlantic on Miriam Pawel’s book, The Union of Their Dreams. 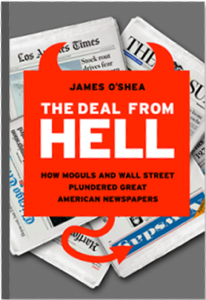 David Carr in NYT on James O’Shea’s book, The Deal From Hell: How Moguls and Wall Street Plundered Great American Newspapers.